Mumps is a viral disease that causes painful swelling of the salivary glands, mainly the parotid glands located just below the ear along with fever, headache. The disease usually affects children, however, with routine vaccination against mumps the incidence has reduced to a great extent. Mumps that occurs in adolescent boys and men can lead to complications such as inflammation of testicles, pancreas, ovaries and even brain. Other complication, although rare, can be very serious in both genders. Mumps can lead to permanent hearing loss in one or both the ears and miscarriage in pregnant women may occur. No specific drug is available for treating mumps. Most of the patients usually recover within 2 weeks without any complications. Painful swelling of parotid glands located in between the ear and jaw. Involvement of both the parotid glands are more common rather than just one side. The pain is exaggerated especially during chewing. Generalized body ache and tiredness. Sore throat leading to difficulty in swallowing. Painful testicular swelling, although it rarely causes defect in sperm production (sterility). 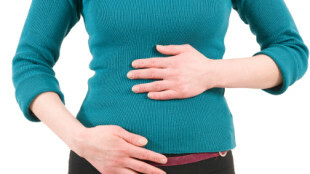 Pancreatitis characterized by pain in the upper abdomen along with nausea and vomiting. The condition arises as the pancreatic enzymes start digesting the pancreatic tissue (auto digestion of pancreas). Like testes in males ovaries and breast tissue may be affected in adult females suffering from mumps. Fertility is rarely affected. Mumps may rarely lead to inflammatory changes in the brain (encephalitis) or the linings continuous with the spinal cord (meningitis). Encephalitis symptoms include high fever, confusion and different neurological problems. Meningitis commonly presents with high fever, confusion, delirium, stiffness of neck muscles, sensitivity to light and headaches. Rarely deafness may occur affecting one or both the ears. Mumps in the early stage of pregnancy may lead to miscarriage. Mumps is a highly contagious disease that spread from the infected person through respiratory secretions like saliva. Coughing and sneezing leads to spread of virus as aerosols which enter a susceptible person through the ear, nose and mouth and leads to infection. The average time interval between contracting infection and manifestation of the disease is about 16 to 18 days. 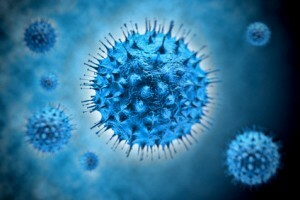 A person infected by the virus can spread it to other persons from approximately 6 days before onset of symptoms to about 9 days after the onset of symptom. Infection with the mumps virus leads to development of lifelong immunity which prevents future attack or if re-infection occurs then the severity is reduced. People who are not vaccinated against mumps, especially children, are at risk of contracting the infection. Antipyretic drugs to reduce fever. Nutritious diet with avoidance of acidic foods which may stimulate parotid gland salivation and cause pain. Gargling with warm salt water. Aspirin is strictly avoided due to incidence of Reye’s syndrome, especially in children. Vaccines are available to prevent mumps infection.